What’s the first financial lesson you remember learning as a child? If you were fortunate enough to receive an allowance from your parents (whether gratis or under the condition of completing your chores), they may have also tried to teach you the value of saving part of what you receive each week. Saving money is one of the simplest things you can do to start working on your personal finances. You’ll feel like you’re “adulting” with your money in no time. 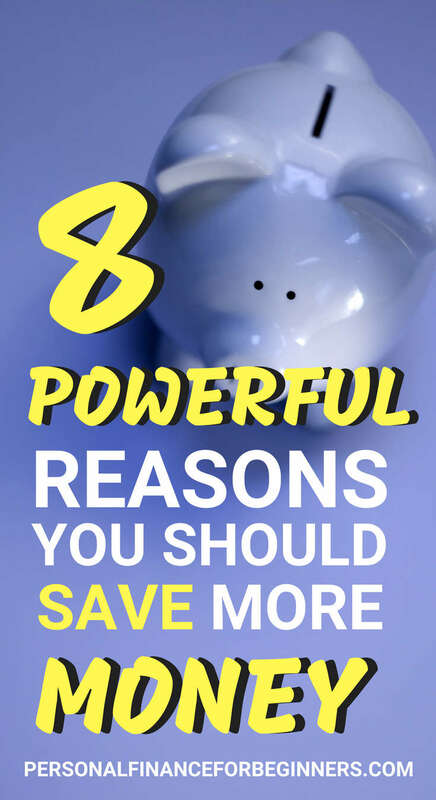 Unfortunately, many of us could be doing better when it comes to saving money. If you haven’t made managing your personal finances a priority, there’s a good chance you’re spending every dollar that you earn – perhaps before the money hits your bank account. Saving more money isn’t something that can be done overnight. The easiest way to save more money is to start small and start today, gradually increasing your savings when you get a raise, bonus, or tax refund. Not sure you’re ready to start saving more money? Here are eight powerful reasons that might change your mind. When it comes to wealth, it’s all relative. In which situation do you think you’d feel richer? In one situation, you’re the “rich” neighbor, and in the other, you’re the “poor” neighbor. This question fails to consider your own unique financial history, current circumstances, and future goals. Rather than following your own path to improvement, “keeping up with the Joneses” is chasing a mirage that not also keeps moving further, but also may not be reachable at all. In many cases, your peers are choosing to look wealthy instead of becoming wealthy, relying on credit cards and debt to buy clothing, cars, and a home to impress themselves and others. Don’t fall into this money trap. Make sure you are spending less than you earn and then some. Saving this extra money will enable you to generate real wealth – not just a mirage. If you unexpectedly lost your job today, how long would you be able to survive without taking on debt? That’s one big reason why building an emergency fund is widely recognized as one of the first steps to establishing your personal finances. The general guideline is that you should have enough money in a checking or savings account that you could cover three to six months of your living expenses if you stop earning income. This money should be kept in a place that’s easily accessible and faces little-to-any risks. Your emergency fund is your safety net – not just in the event that you lose your job, but in case you find yourself with a major car or home repair, medical bills, or other unexpected expenses. If you haven’t already, open a high-interest saving or checking account and start making contributions. If you have three months saved, try building your fund up to six or 12 months, especially if you have children or a partner that depend on your income as well. During a period of just over two years during college, I lived in seven different apartments (roughly four months in each). Aside from the constant packing and unpacking, one of the biggest issues with moving involved coming up with a security deposit for each new place. This was while I was earning a very modest student income and before I learned how to manage my money, so coming up with an “extra” $600-800 to put down as a security deposit wasn’t easy. If you don’t have any money set aside, it’s really easy to run into cash flow issues like the example above. Although I never had any issues with paying my rent on time, I didn’t have an extra pool of money to draw from. Instead, I’d have to use an entire paycheck to cover that security deposit, forcing me to carry a credit card balance for spending on groceries, textbooks, car insurance, etc., until the security deposit from my previous apartment was returned. While you may find ways to “make it work,” have a decent amount of money in your checking account at all times can help you avoid these tight spots and headaches. Having enough money saved to make a large payment on your next car or home could make a huge difference in how the decision pans out over the next several years. Putting more down on your purchase upfront will reduce the amount of debt you have to take on. If you put very little of your own money down, it’s easy to quickly find yourself upside down (owing more money than the asset is worth) as soon as you drive the car off the parking lot or the housing market hits a downturn. Making at least a 20% down payment on your house will also let you pass on paying private mortgage insurance (PMI) payments each month. Of course, saving up thousands of dollars to put toward a new car or house isn’t easy. If a purchase is anywhere on your horizon, do some quick math to see if you’re on track to hit your target down payment or if it’s time to boost your savings. Most of the time, your personal finances are fairly consistent from month to month. This is especially true if you’ve become an expert at following a budget. While hitting your personal finance goals is often a process that requires discipline and patience, you’ll find that “real life” moves really quickly in comparison. Your most careful planning is quickly disrupted if you make a new major life decision, seemingly on a whim. Any of these decisions can require several months of planning in order to evaluate or minimize their financial risk. Sure, you can decide to take a “leap of faith” and assume that you’ll find a way to make it work. If you’re more risk-averse (or financially responsible? Or boring? ), you may have to save up money for several months after making the initial decision before you’re ready to take action. This is just one more reason why consistently saving up money is an advantage. If you’ve built up an “opportunity fund,” you’ll be ready to make that big decision when it’s placed in front of you. You don’t know when opportunity will come knocking on your door – will you be ready? Should you be going on vacation if you still have debt? In that case, you’re not only paying for the trip – you’re also paying an “opportunity cost” by using that money for your own leisure instead of minimizing the interest you’ll pay on your debt. I’m not going to suggest that you shouldn’t travel until you pay off all of your debts… I certainly haven’t followed that advice myself. However, if you can’t afford to pay for your vacation without taking on more debt, perhaps you ought to stop and reconsider. Yes, you can use credit card points to minimize the costs of your airfare. However, don’t let a “free” flight or hotel stay let you believe that your vacation will be cheaper than staying home. Instead, make sure you’ve saved up enough money to pay for your vacation before taking the trip. Coming home from a vacation is hard enough without realizing that you’ll be spending the next few months paying for it. Saving up more money will allow you to make decisions based on your values rather than fear. “F-you money” is one of the middle stages of financial freedom – when you have saved enough money that you could abruptly quit your job without worrying about how you’d cover your bills or feed your family. Imagine your employer is under new management. During a company meeting, the new leadership announces that you’ll be expected to work an additional 15-20 hours per week for the same amount of compensation. You’ll be asked to “clock in” and “clock out” to make sure you aren’t cheating the company, and not only that, they’ve scrapped some of your favorite perks: the kitchen is barren, the coffee pot is empty, and the company holiday party (and bonus) is no more. If you are living paycheck to paycheck, you might start looking for a new job with another employer, but in the meantime, you’ll have to keep clocking in and out every day until another company gives you a chance. If you’ve saved up six to twelve months of your living expenses, you might write up your resignation letter and head home to start exploring your next opportunities. It’s a lot easier to feel satisfied at work when you don’t have to be there for the money – you show up each day to enjoy the company of your coworkers or your own personal development. Bad news: almost two-thirds of Millennials have nothing saved for retirement. With that piece of information in mind, it should come as no surprise that millennials are projected to retire at a much later age than their parents. Between student loan debt, changes in social security, and more, it’s expected that many Millennials will have to work until the age of 75 before building a safe retirement portfolio. 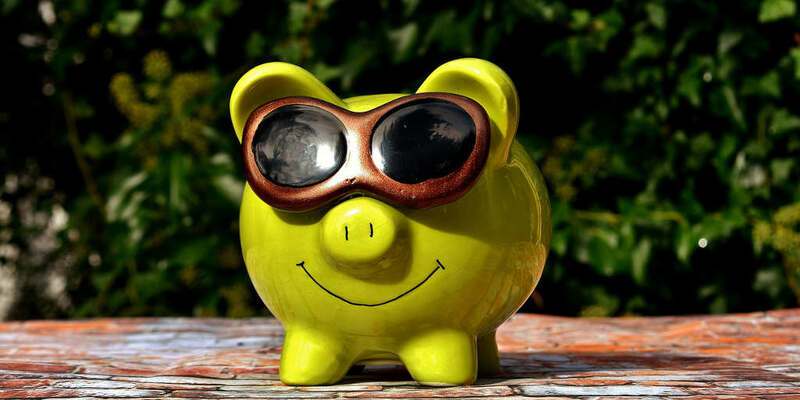 By starting to save for retirement early (aka… now! ), you can shave off years from your own personal retirement timeline. If you can start contributing a little more now to your retirement accounts – whether it’s $50, $100, or $200 a month – you’ll be rewarded with additional years of retirement to spend pursuing your passions, spending time with loved ones, or seeing the world! Even if you don’t want to retire early, it’s in your best interests to start saving more money toward retirement while you’re young. Due to the power of compounding interest, investing a dollar now is as effective as investing $2-4 will be in your forties or fifties! You’ve seen how saving more money can help increase your financial situation, so how can you get started? Create a budget. If you don’t know where your money is going, it’s time to make peace with your money and create a plan. A budget will give each dollar a specific purpose and help you identify areas where your spending might be surprising you! Pay yourself first. If your employer offers direct deposit, ask them to automatically send a percentage of each paycheck into a savings or checking account that’s separate from your other other money. Out of sight, out of mind! Start small. Saving up enough money to put toward a wedding, car, or house can be overwhelming. Try not to feel overwhelmed if you can’t save as much money as you’d like right away: start with an amount that’s barely noticeable and then try to bump up the money you save whenever you can! Get the big things right. Not sure how where you’ll find money to save each month? If your budget is really tight, take a step back and focus on getting the “big three” right: your housing, transportation, and food. These categories cover the majority of your expenses each month. Getting a roommate, riding public transit (although it might require waking up earlier! ), or reducing the frequency that you eat out can each have a huge impact on your ability to save. Did reading this article make you feel like you’ve fallen behind on saving money? If so, you won’t not alone. After all, the average savings rate in the United States is less than 3% of one’s personal income. Just like “keeping up with the Joneses” will quickly burn holes in your pockets, so will following their savings behavior keep you from living a stable and prosperous financial life. That’s why it’s important to find your own reasons to start saving more money, whether it’s an item from the list above or something that’s unique to you. If you aren’t currently saving any money, find a way to start now – even if it’s just a couple dollars per week. If you are saving, look for opportunities to increase the amount you save (or make additional contributions from time to time. Your future self will thank you! Did this post help motivate you to start saving more money? If so, please consider sharing this article on Pinterest to help others get inspired as well!